Trek Gold Key Comic #1. Released in 1967. 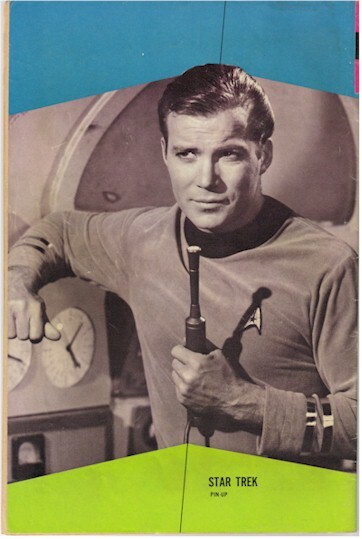 This was the very first comic book ever released for Star Trek. There were nine issues that were "photo covers", making them much higher quality and much more desirable for collectors then the animated covers that followed these and started with issue #10. 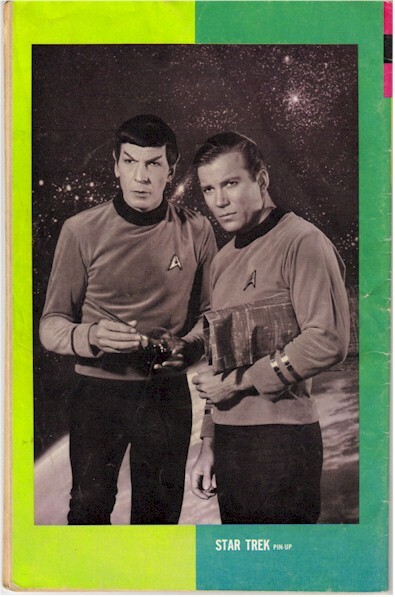 The comic book value guide Overstreet puts much higher values on the photo covers. IN particular the #1 issue is value at about $700. The second issue about $450-500. Issue #2 is below. We also have ALL Nine issues. 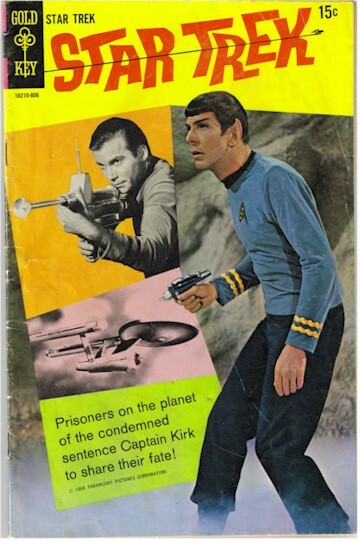 Original Star Trek #2 Gold Key Comic. Released in 1968.